Whether you are looking for race training, training for one of the increasing number sportives such as the local Dragon Ride or just sociable riding to stay in shape then Swansea Wheelers can hopefully enhance your training and make you a better and fitter cyclist. Throughout the year, every Sunday, the club has an organised, mid-paced, sociable ride which leaves from the south end of the Liberty Stadium, Swansea SA1 2FA, Brunel Way entrance by the ticket office (behind Frankie & Benny’s). Check the Contact Page for times, map and directions. If you are thinking of joining and have no experience of Club riding, you’re welcome to join one of our Sunday club runs where you’ll join riders of all ages and abilities. If you have any doubt about the level of fitness required just contact us and we’ll give you an idea of what to expect. click here for details. Clock’s go Forward on 31 March 2019. Thursday night Winter 20:00: Members Spin class at the LC2 from 8pm for one hour. Sunday morning: The classic Sunday Club Run, whatever the weather… we go out! No drop, average speed varies but generally 15-16mph plus a cafe stop. If you are interested in getting involved just contact us. 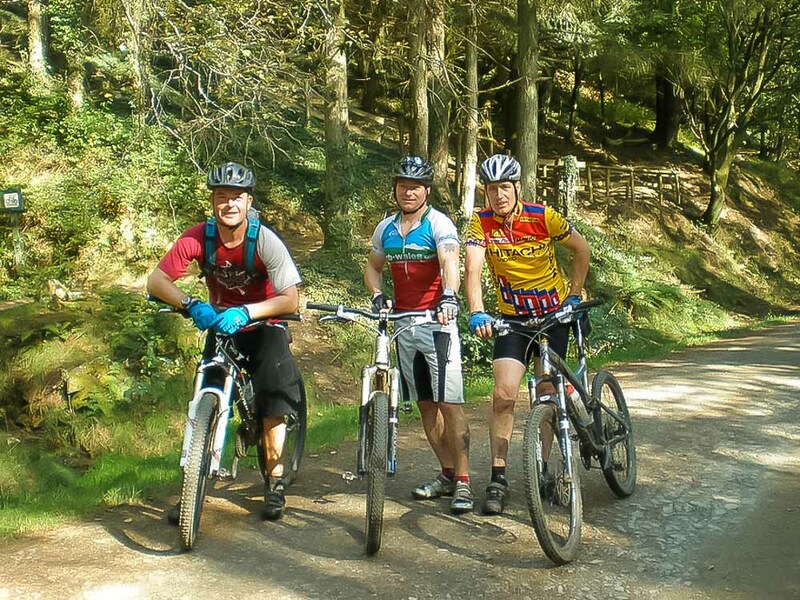 We do have a few members who are keen mountain bikers and there are occasional MTB rides which will be led by one of our experienced MTB riders. Even the hardened roadies amongst us will admit it is an exhilarating sport, and it does help your bike handling skills – plus if you like the competition it can extend your season.